Susan Michaels from Vashon Island will be calling squares and related on May 11, starting at 8 PM at Quimper Grange. The band is none other than the fabulous Canote Brothers. Adding to the mix will be bassist Nancy Katz and banjoist Jack Dwyer. Susan Michaels was the featured caller at the 2016 Dare to be Square West in Seattle. She calls . . . everything . . and does it with style and energy. She is hailed as one of the top callers on the west coast. The May square dance is guaranteed to be most excellent. And, as if Susan isn't enough to get you all to the dance, the Canote Brothers and Their Happy Pals will laying down the beats for you all. The Canotes have been playing in the Northwest for dances, events and their own radio show for over four decades. Their personal and musical enthusiasm, energy and humor knows no bounds. Nancy Katz is an exceptional musician, with decades of playing bass, guitar and banjo. She will be laying down the bass beats for this dance. Jack Dwyer, a well known mandolinist and banjoist is also joining the group. All dances are taught. All experience levels are welcome and encouraged. This is a family friendly event (no alcohol). Quimper Grange is located at 1219 Corona in Port Townsend. Admission is $7; 16 and under is free. For anyone bringing their own personal water bottle, or arriving on foot or bicycle, admission is $5. Let's reduce our impact! Bring yourself, a special friend, the family, or the whole tribe and be prepared to rock out on this holiday weekend. Come at 7 and jam with the band. For more information, call Dave Thielk at 360-602-1270. Caller Tony Mates is multi talented! The infamous Tony Mates of Seattle will be calling squares at Quimper Grange on Saturday, April 13 at 8PM. Tony Mates has called dances for decades, and in places far and near. A Seattle favorite and founding member of the Seattle Subversive Square Dance Society, Tony has called many dances at our Quimper Grange hall over the past 10 years, as well as Fiddle Tunes, Dare to be Square Events, and many others. Knocking out tunes will be Atlas Stringband, also from Seattle. 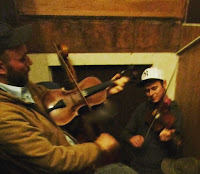 Atlas has been playing together since the 2006 Festival of American Fiddle Tunes in Port Townsend, WA where they jammed together for hours and days on end, wallowing in the energy and spirit of the music. Their rollicking dance tunes and hard driving rhythms come from the 1920s, 30s and 40s, the golden era of Old-Time music. The current lineup includes David Parker (fiddle), Morgan John (banjo), Robert Hinrix (bass), and Tom Collicott (guitar). If we are in luck, we may get to hear some of their vocals in between dance tunes. All dances are taught. All experience levels are welcome and encouraged. This is a family friendly event (no alcohol). Quimper Grange is located at 1219 Corona in Port Townsend. Admission is $5 if you arrive on bike or foot or bring a non disposable water bottle; $7 for car drivers; 16 and under is free. Bring yourself, a special friend, the family, or the whole tribe. Come at 7 and jam with the band. For more information, call Dave Thielk at 360-602-1270. Quimper Grange Square Dance and Social. 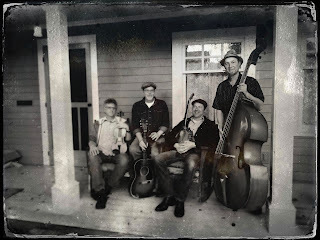 Rats gone to rest is a high-energy square dance band including long time friends Joel Brown and Devin Forest-Hines. 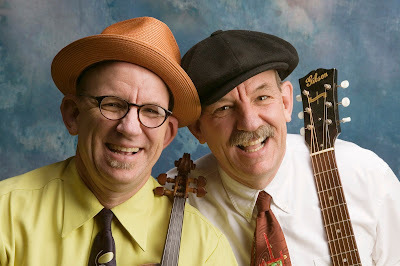 Joel and Devin are musical collaborators who arrived into traditional Old time music through punk music. Rats Gone to Rest channels the lawless energy and spirit of late night fiddle festivals, and rogue square dances. Calling that night will be Dave Thielk with a great selection of old dances, visiting squares, circles and mixers. Dave's approach to traditional squares is erase the boundary between dancer, band and caller. Come prepared for an evening of frivolity, rhythm and rockin'.